Many people are looking to buy the brand new iPhone 6, but there are actually reasons to hang on our current iPhone 5S or Android smartphones. Obviously, the industry has been abuzz about the iPhone 6, but there are a few facts that should influence our buying decisions significantly. Apparently, not all is dandy in Apple‘s kingdom and there are good reasons we should wait for the upcoming iPhone 6S, which could be released in 2015. No improvement in screen resolution: Screen resolution is one of the things people look forward to when they choose a new smartphone model. The iPhone 5S already have crisp display capable of displaying vibrant and vivid colors. Because many Android devices already have very sharp Quad HD display, Apple fans expected that there will be a significant improvement in screen resolution. Unfortunately, like its predecessor, the iPhone 5S, Apple‘s new smartphone still offers approximately 325ppi of pixel density. Fortunately, the larger iPhone 6 Plus already delivers display with more reasonable resolution. It is less durable: Despite many claims about its durability, the iPhone 6 may still feel like a glass princess who needs a bodyguard wherever she goes. We have been hearing reports about the iPhone 6 Plus that starts to bend after users put it inside tight pockets. We could only be hopeful that Apple‘s future phablet will be much more durable and able to resist bending and warping. Very high price: The iPhone 6 with 16GB of internal storage is more than $110 more expensive than its predecessor, to be precise at $749. Some people would literally sell their kidneys to buy the phone. There’s no guarantee that the iPhone 6S will be cheaper and it is likely to be similarly expensive. However, it is probably provide more value for the price. No significant improvement in hardware performance: Performance is a very important indicator in the smartphone market. The A8 processor with its 64-bit support isn’t something new. Owners of iPhone 5S would notice only slight difference in performance when they run typical apps and games in iPhone 6. Both also have 1GB of RAM, which offers equal multitasking performance. NFC isn’t something compelling yet: Apparently, the NFC technology isn’t worth the hype yet. Apple claims that the embedded NFC chip is one of the most important features of the iPhone 6. It should allow us to use our smartphone to pay for our groceries. But, before we start celebrating, we should know that many Android smartphones have similar features for quite a while now. At the moment, the iPhone 6 supports the Apple Pay; but it still hasn’t been supported by some large retails stores, including Wal-Mart. Manufacturers of Android devices are still giving Cupertino some serious competition. 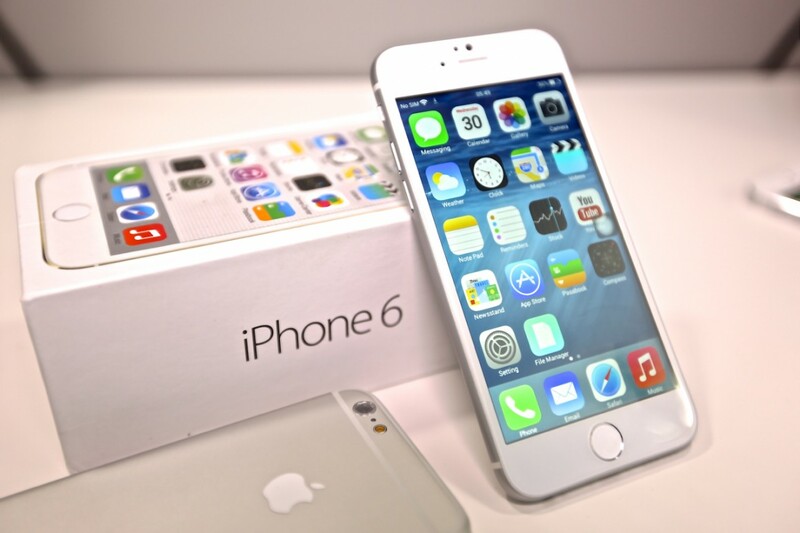 Models like Samsung Galaxy S5, HTC One M8 and Nexus 6 have many things that the iPhone 6 has. We are talking about higher screen resolution, better cameras and more RAM. Also, many of these devices are considerably cheaper and seem to be better options for users who only need to make voice calls and send text messages as well as playing a few casual games.